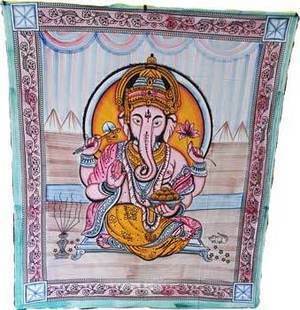 Ganesh Tapestry 84" x 96"
Shop > Magical Clothing | Wiccan Clothing > Tapestries > Ganesh Tapestry 84" x 96"
Only 5 left at this price. Order today! Triple Moon Pentagram Tapestry 72" x 108"
Celtic Knot Tapestry 72" x 108"
Flower Pentagram Tapestry 72" x 108"